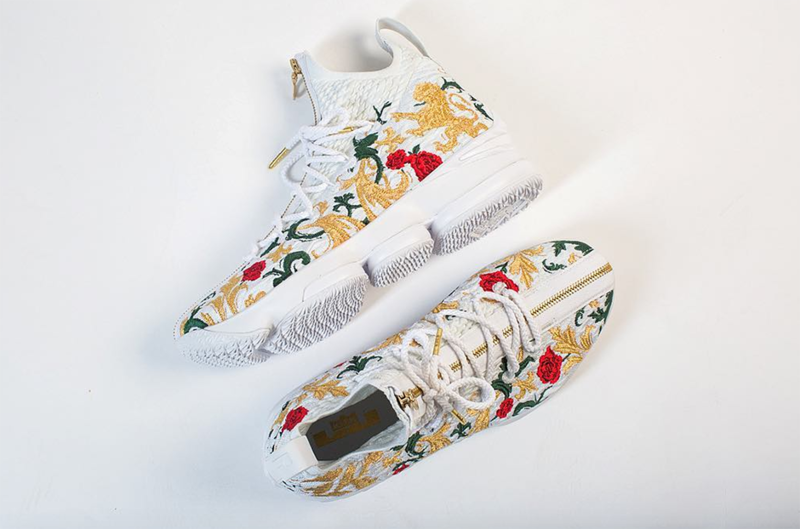 After first being unveiled last week on social media by a member of LeBron’s camp and then seen during Kith’s runway show at NYFW, today we get a closer look at the special floral edition of the Nike LeBron 15. 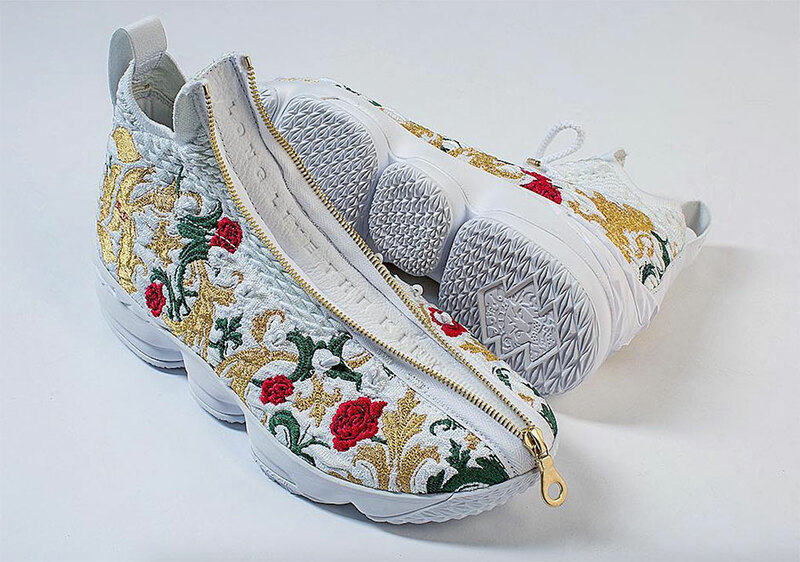 The premium lifestyle take on LeBron’s latest signature shoe features an intricately embroidered upper, whited-out Air bags in the midsole, and a gold zipper running down the length of the shoe that reveals a special message inside, “Long Live The King”. Now that we all know exactly what the shoe looks like, there’s only one more thing we need to know: when, and if, they’re releasing. 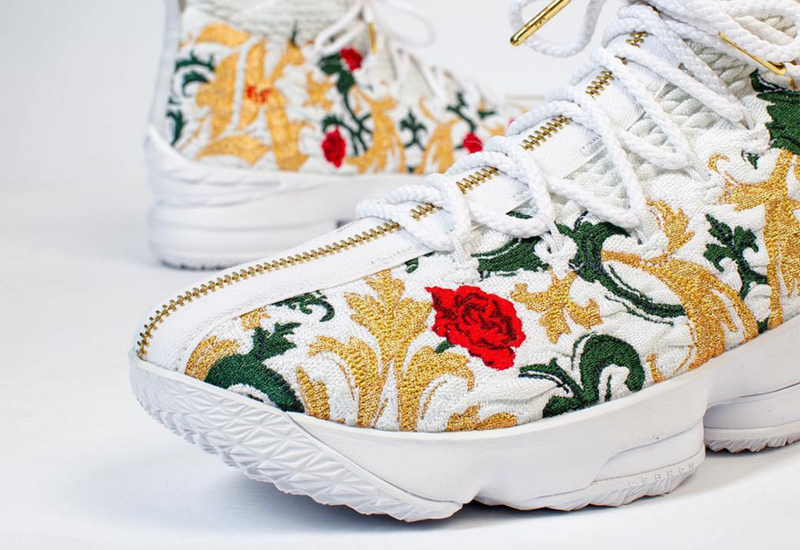 Stay tuned for more details on the floral LeBron 15.